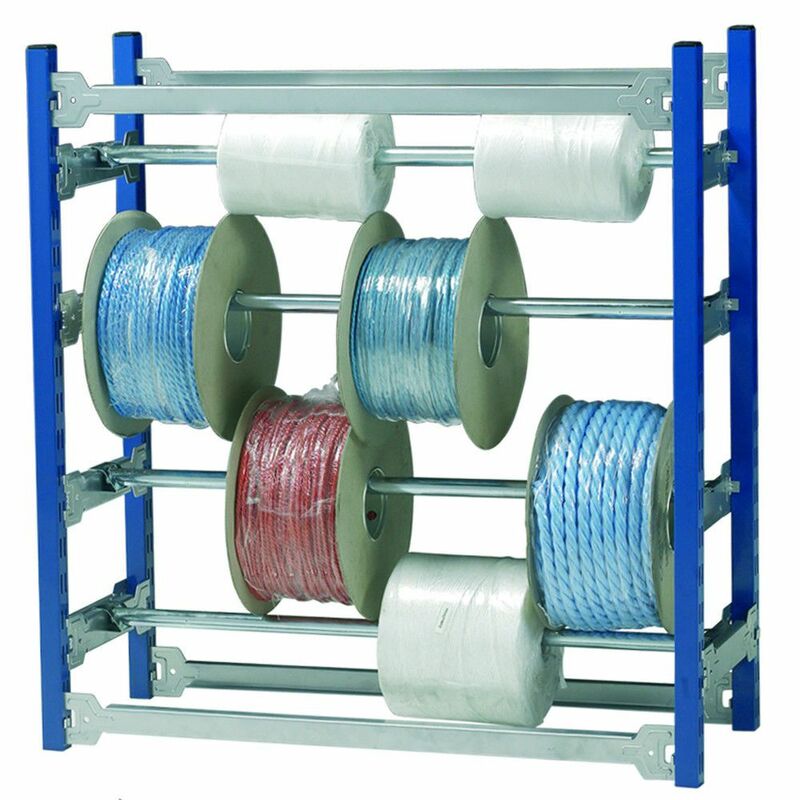 Used for storing and dispensing reels of wire/cable. 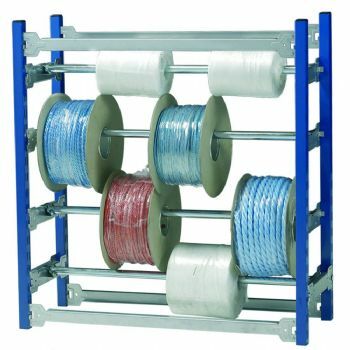 Supplied with 4 fully adjustable hanging rails. A simple clip together system with no tools required. 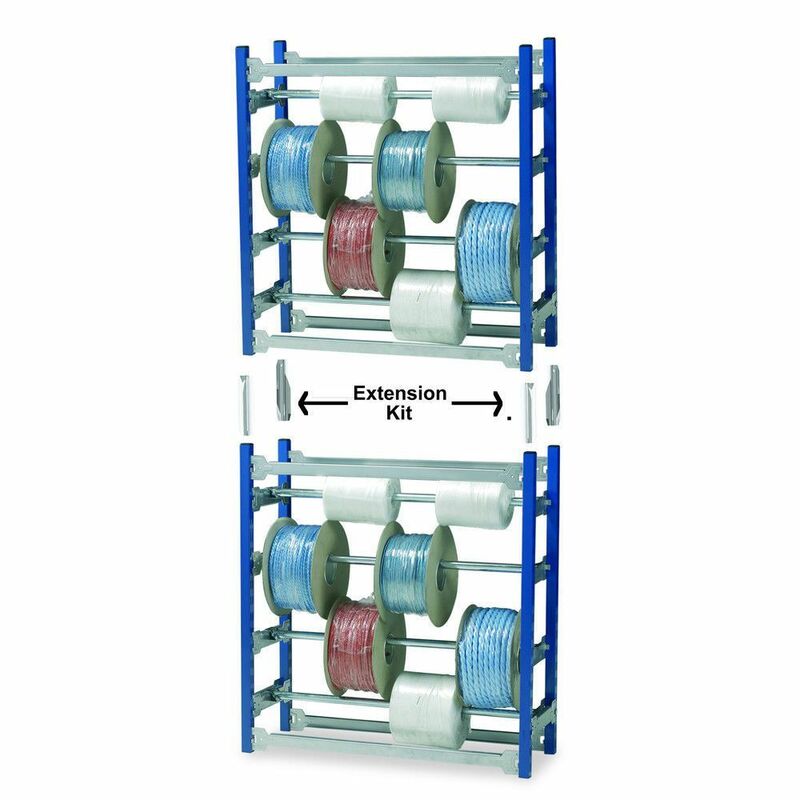 Extension fitting kits must be used if creating a double height rack by sticking 2 single racks together.